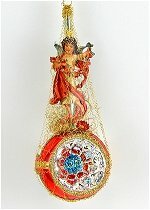 Nostalgic Christmas ornaments using craftsmanship in the same tradition of artisans a 100 years ago. The precious, mouth-blown Christmas ornaments are made in restored original old moulds, then carefully hand-painted, patinated , and topped with stylish iron caps in the traditional style. 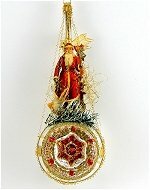 The Christmas tree decorations and manufacturing methods are derived from the old Thuringian glass-blowing tradition at Lauscha. The moulds originate from the collection of a traditional glass-blowing family and have been carefully restored and are now used by the third generation of glass blowers. With these tree ornaments you give your tree a special Christmas splendor! 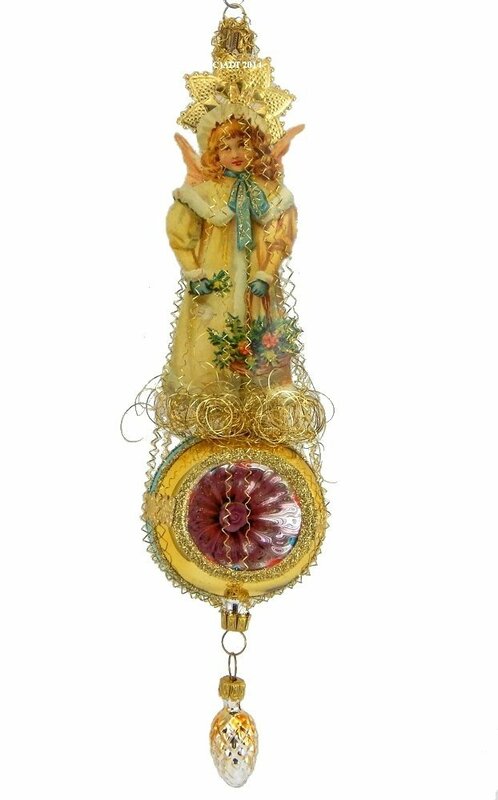 Beautiful reflector ornament topped with a Victorian Angel on printed card stock wrapped in spun wire. A remarkable effect is achieved with the different materials used. 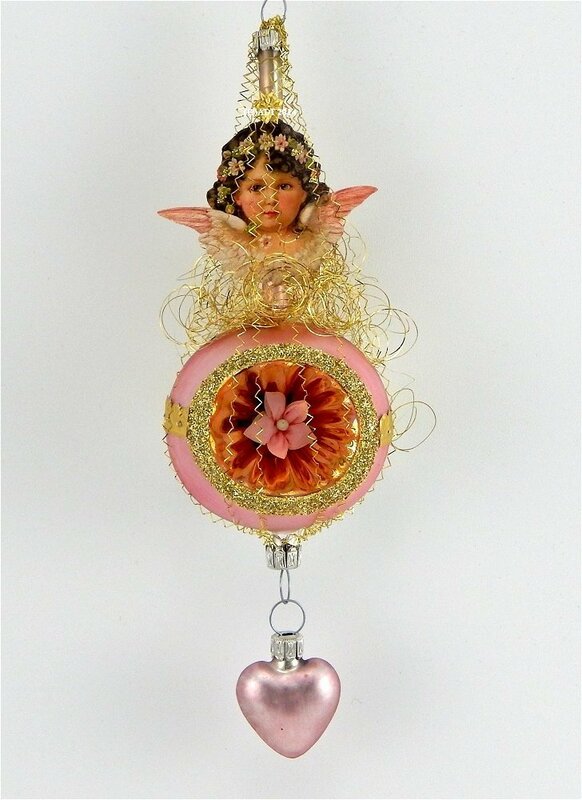 Beautiful glass umbrella style ornament topped with a Victorian Angel on printed card stock wrapped in spun wire. A remarkable effect is achieved with the different materials used. 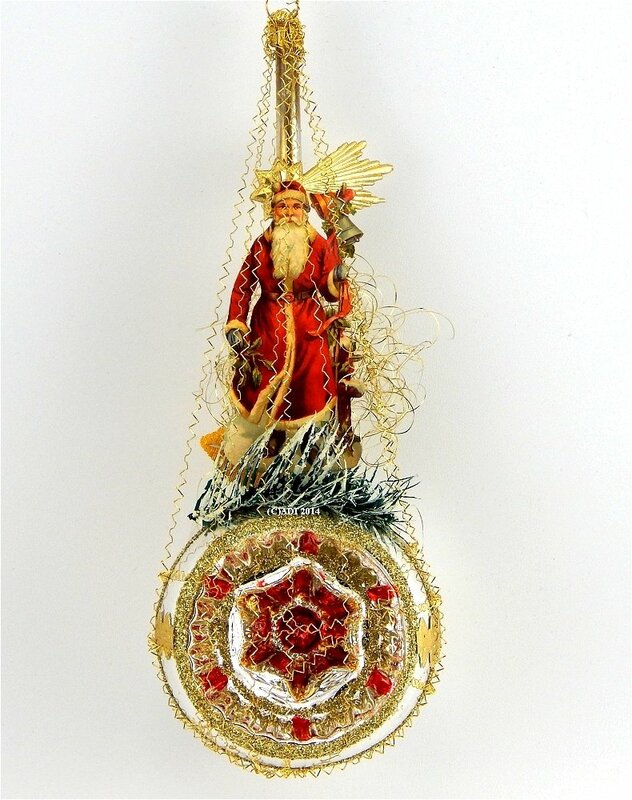 Beautiful reflector ornament topped with a Victorian Father Christmas on printed card stock wrapped in spun wire. A remarkable effect is achieved with the different materials used. Victorian Christmas Tree ornament with an Americana flag glass base. 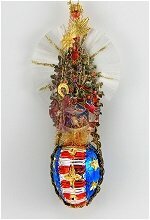 In this case my picture is worth more than a thousand words as there is so much going in with this ornament. It is a truly over the top piece of Christmas in a league all its own. Seeing is believing.